Law enforcement and military personnel rely on body armor, shields, and armored blankets for protection in high-risk situations. Some of us wear body armor on a daily basis and many of us know someone whose life was saved by their armor. During my years of service in both the military and law enforcement, I have seen tremendous improvement in armor technology. Armor composites have become lighter and stronger, and designs have made armor, especially wearable armor, more comfortable and easy to use on a daily basis. However, wearable armor and shields do have certain limitations. These protective products typically only cover the large vital areas of the body. Additionally, they offer limited ballistic protection since the nature of protective armor is always a compromise between weight, mobility, cost and the level of protection it offers. Law enforcement and military often utilize Armored Personnel Carriers (APCs) or armored vehicles to meet the evolving needs of S.W.A.T., Homeland Security, Counter-Terrorism, Force Protection, Military Police, and Dignitary Protection. 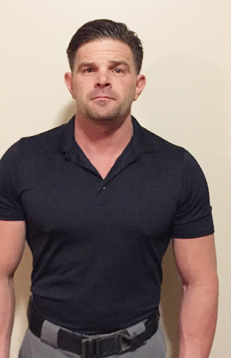 Master Sergeant Mitch Soper is a highly decorated police trainer with 20 years of law enforcement experience. He has also served in the United States Marine Corps Reserve for 22 years. A growing number of high-profile U.S. agencies around the globe are using armored vehicles for dangerous law enforcement and military operations such as close quarter battle engagements, citizen rescue and personnel/cargo delivery missions. The biggest advantage of armored vehicles is the high level of ballistic and blast protection they provide. APC’s, while a great option in many situations, also have a few disadvantages. For example, they must be constantly maintained and exercised to remain viable and dependable, APCs are also limited in the applications and areas in which they can be employed. Moreover, they are typically very expensive and only get you to the front door. During my years serving in the military and law enforcement, I have needed body armor, shields, blankets, and armored vehicles. As an operator, these products and vehicles are known as the “tools” of our trade. The disparity for many years was that we did not have a “tool” that could effectively bridge the gap between our wearable armor (including hand-carry shields) and our APC’s. Only within the past decade has a new type of “tool” come to the forefront. I am specifically referring to portable, modular, moveable, multi-use ballistic shields that provide ballistic coverage for individuals or small teams. I refer to these “tools” as mobile bunkers. Mobile bunkers can provide various levels of ballistic protection similar to that of an APC or armored vehicle. Unlike hand-carry shields and armored blankets, mobile bunkers typically have wheels that bear the weight of the armor. This means less weight is transferred to the operator, allowing them to fight with both hands. I have personally utilized mobile bunkers throughout my tenure on the S.W.A.T team. Perhaps the greatest advantage I find in mobile bunkers is that their design enables my team to quickly and confidently respond to threats where the ballistic protection level of an APC is preferred, but the location makes it impractical or impossible to drive an APC. Incidents that occur inside buildings, schools, hospitals, or similar structures have the potential for considerable loss of life. In the case of an active shooter or an explosive threat, response teams cannot typically utilize armored vehicles. With recent terrorist attacks around the world, the need for tools like the mobile bunker has never been greater. Terrorism tends to target our most densely populated venues; this, coupled by our global culture of building larger buildings and more dense urban environments puts greater limitations on the usefulness of the APC. Mobile bunkers however, make it simple to transport armor to the 5th floor of an apartment complex or to the 26th floor of a hotel, thus providing teams with the same ballistic armor level as an APC. Mobile bunkers provide a valuable gap-filling tool to the operators and first responders who are usually at a disadvantage in dealing with highly volatile situations. I personally find that there is greater confidence and less hesitation when teams and first responders have the correct tool for the threat they are facing. Having the correct tools given the circumstance greatly increases not only the overall mission’s chance of success but invariably results in the least amount of lives lost. I have used many different types and styles of mobile bunkers throughout my career. 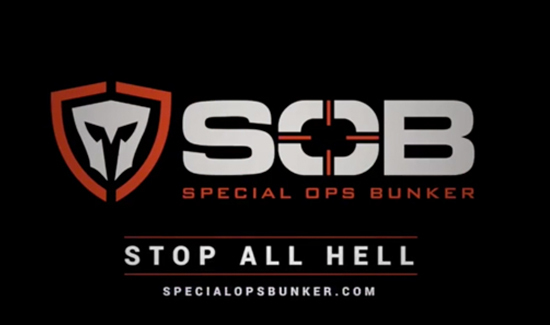 I have found the collapsible bunker manufactured by Special Ops Bunker (known as the SOB™) to be extremely beneficial when facing immediate threats. What makes the collapsible SOB™ different from any other mobile bunker I’ve ever used is that it easily collapses into a unit small enough to be transported to the incident in a typical law enforcement vehicles, even a patrol car. When collapsed it takes very little space in our S.W.A.T. van. It can then be deployed in seconds, an invaluable benefit to first responders. The collapsible SOB™ can be utilized in conjunction with body armor, shields and APC’s. I find that having all of these tools at my disposal has a synergetic effect, giving me excellent all-around protection without restricting my ability to remain quick and dynamic. Even on smaller, barricaded subject incidents I find it critical to have all of the above listed tools. And because bunkers cost a fraction of what an APC costs, most agencies can readily add this tool to their toolbox. Even small agencies who may not have a budget for an APC can get many of the same benefits utilizing bunkers. Editor’s note: This article was sent to us by our friends at Point Blank Enterprises. You can get more information on Point Blank and all the latest developments going on in the armor business at PointBlankEnterprises.com.